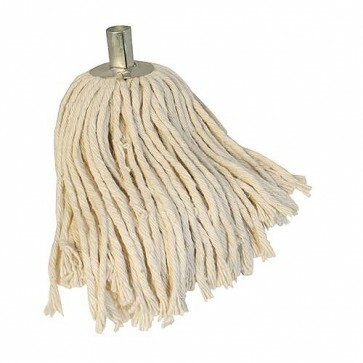 Brand New Socket Mop Pure Yarn Traditional heavy duty 4-ply cotton mop with galvanised bracket for max 23/24mm dia handles. Fixing positions in bracket for small screws or nails. Compatible with Silverline Broom Handles (999088).